It's cold in the park in winter. 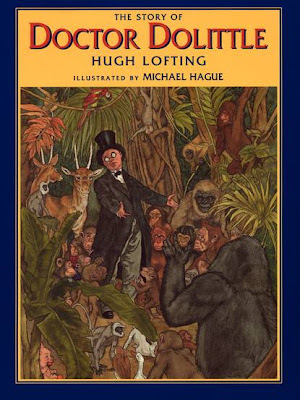 If there was ever a true "heartwarming" tale - this is it, especially for kids. Add on top of that the fact that the pictures are simply top of class - both grown-ups and kids can enjoy them equally. It's easy to get sucked into the story. Percy the park keeper is a jovial figure in his warm coat and wellington boots, strolling through his park as winter sets in. Winter creeps in fast and one night, as Percy gets ready for bed after making hot cocoa - suddenly there is a knock on the door. Of course, Percy invites it in and shares the warmth of his minuscule hut with the small mammal. Surprise, surprise... one by one, all the animals from the park's menagerie arrive during the night in search for a warm spot to survive the polar cold. A Tale from Percy's Park: One Snowy Night allows you to test a wide range of your "fffrrrreezzzing animal" voices, as two rabbits, a fox, a badger, a pair of ducks, a hedgehog and a whole family of mice parade into Percy's hut and make way for the small bed. All animals end up trying to sleep in the bed, alas they all tumble out of it because its too small. Panic ensues when a scratching, scraping sound is heard coming from the floorboards. Fortunately for all involved, its just the mole seeking a warm abode for the night. After the night's excitement all animals finally manage to fall asleep. Isn't sharing (one's hut) wonderful - we are all guilty of forgetting this sometimes. The unaffected comedy, the slight growing tension of nighttime, the harsh winter, the warm hut, the isolation of an unpopulated park all contribute to ensure that A Tale from Percy's Park: One Snowy Night is a perfect choice for bedtime reading. I think that the story may be slightly on the short side, but at 32 pages that is more a testimony of the quality of the book (we want more!) than of its shortness. Clearly, as a read aloud, it would function equally well even if it was a tad longer. The illustrations are almost cheeky in their cuteness and they held the attention of my twins hostage from the very first picture. My daughter was almost melting with compassion, while my son was captivated by the events of the cold winter night. We have read and re-read the book many times - but all three of us are happy whenever it crops up on our "bedtime reading" pile. 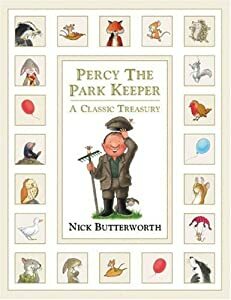 Nick Butterworth's One Snowy Night book is only one in a series of Percy's Park stories that all seem to be based on the same successful recipe of cute park animals Percy's adventures combined with unexpected events. Don't get left out in the cold, treat yourself to a warm evening with Percy and his cute friends.